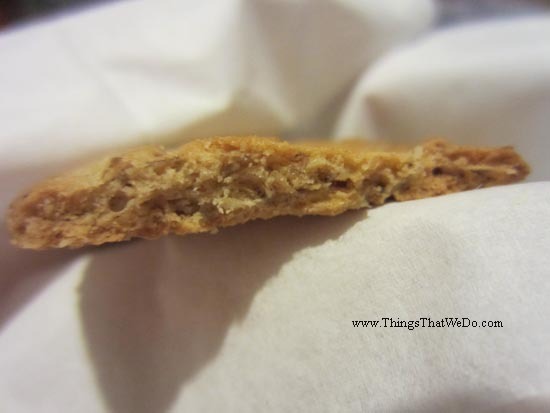 BelVita Breakfast Oatmeal Crunch Biscuits – yay or nay? 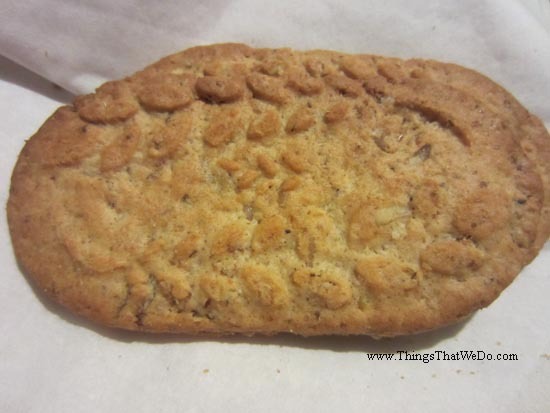 Allow me to introduce you to this very crumpled up pack of Belvita Breakfast Oatmeal Crunch biscuits. I got it a while back as a sample treat to test out. I can’t remember where I was or how I got it but I came across these photos and realized I’d never done a post about them. I had a thought and wanted to share so here I am talking about these biscuits. For the record, these Belvita Breakfast Oatmeal Crunch biscuits are crunchy, sweet, with a noticeable oatmeal taste. Would I eat them for breakfast though, that I’m not so sure of. I mean, treat, maybe but breakfast? 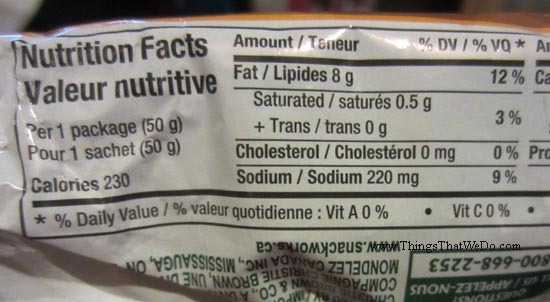 Quick gander of the nutrition facts and you learn that this one little pack of Belvita Breakfast Oatmeal Crunch biscuits gives you 11 grams of sugar. Do the quick math with 4 grams of sugar making up 1 teaspoon of sugar and that’s about 2 ½ teaspoons of sugar in 2 biscuits! Are you serious?! That’s not breakfast material. That’s more like a treat to keep you going when you don’t want a chocolate bar. Did I like the Belvita Breakfast Oatmeal Crunch biscuits? I mean, I think so. They were crunchy and sweet and hearty and if you’ve got the urge for something sweet they would certainly do but that’s about it for me. 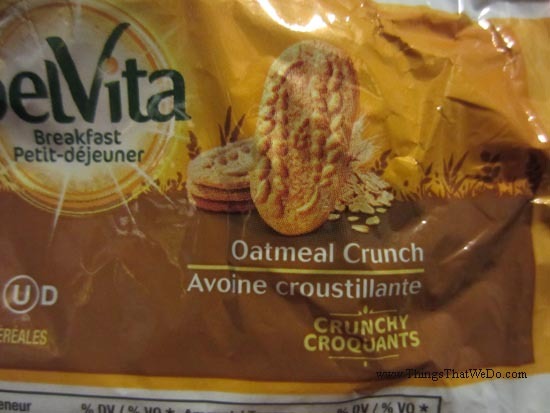 What ingredients are in the Belvita Breakfast Oatmeal Crunch biscuits? In case you were wondering, these are the ingredients that went into making these Belvita Breakfast Oatmeal Crunch biscuits: whole grain blend (rolled oats, rye flakes), enriched wheat flour, sugar, vegetable oil, whole grain wheat flour, glucose syrup, malted barley syrup, baking soda, salt, ammonium bicarbonate, soy lecithin, disodium diphosphate, diacetyltartaric acid esters of mono and diglycerides, asparaginase. Wow, last time I checked my own homemade bowl of super duper oatmeal (with a million fun grains that I pick myself, thank you) isn’t chocked full of ingredients that I can’t pronounce. 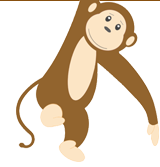 On top of that, I can see where all the sugar is coming from with sugar, glucose syrup, and malted barley syrup. The Belvita Breakfast Oatmeal Crunch biscuits are a nice treat to add to your snack repertoire so long as you know what you’re eating. 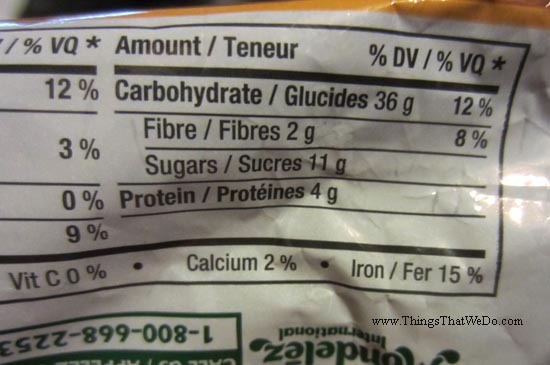 On top of the 11 grams of sugar for a 50 gram pack of 2 biscuits, you also get 15% of your daily intake of iron but you also get 12% of your daily intake of fat and 9% sodium but you also get 4 grams of protein. I don’t know if I’d call it a breakfast biscuit but then again, it’s just a name that the company decided to use to promote this product so what you choose to do with this biscuits is really up to you.